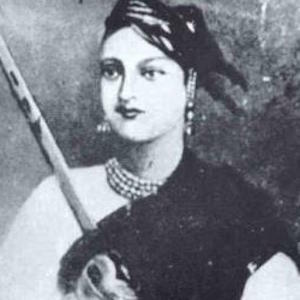 Former queen of the state of Jhansi located in India who was one of the leading women of the Indian Rebellion of 1857. She was a symbol of resistance to the rule of the British East India Company. She studied archery, horsemanship, and self-defense at home when she was younger. The Hindi poem Jhansi ki Rani is based on her life. She married the Maharaja of Jhansi, Raja Gangadhar Rao, in 1842, and she had a son who died at four months of age. She was an Indian freedom fighter like Mahatma Gandhi.